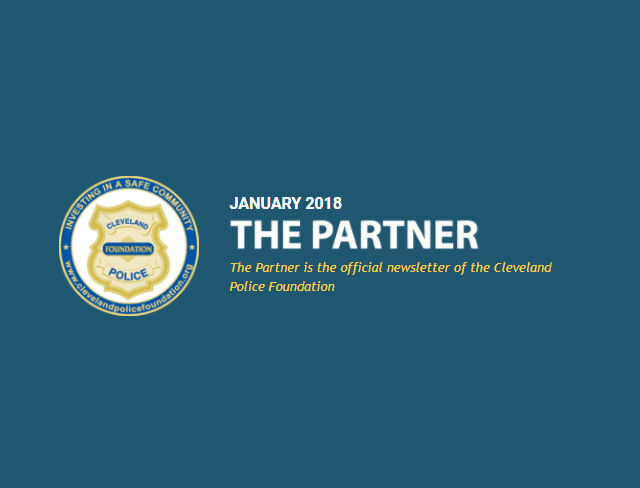 The January 2018 Partner is chock full of articles recapping the outcome of events and news items of inspiration–and a full calendar of upcoming events. 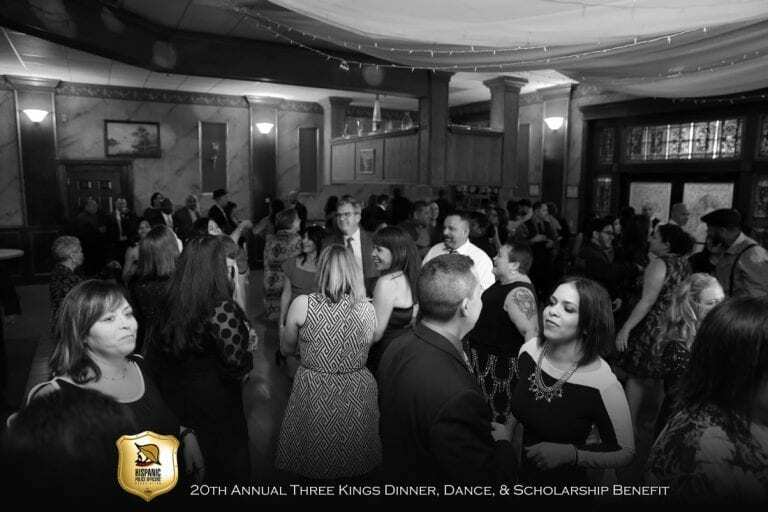 The 21st Annual Three Kings Dinner, Dance, and Scholarship Benefit is Saturday, January 6, 2018 and is fast approaching. 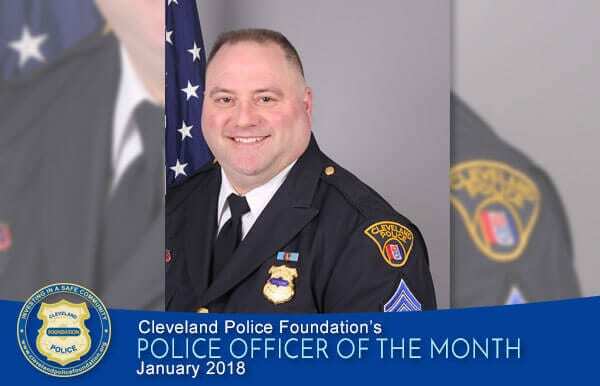 The Cleveland Police Foundation is honored to recognize Sergeant Tom Ross as the Police Officer of the Month for January 2018. 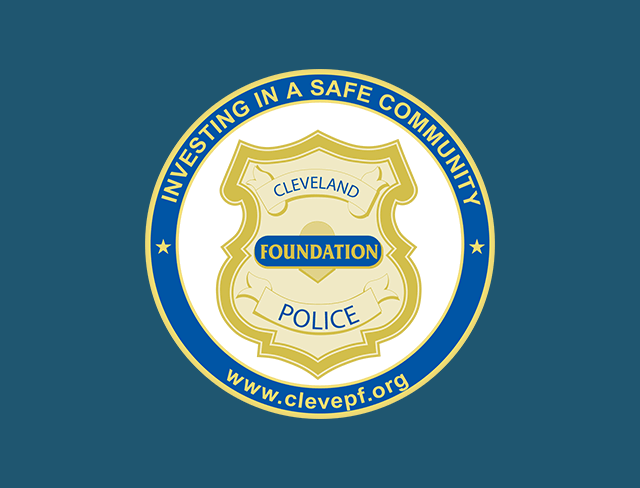 The Cleveland Police Foundation moves into the Cleveland Police Credit Union. 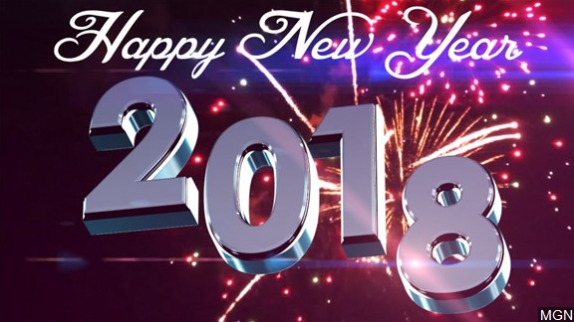 We wish you a safe and prosperous 2018, filled with good health and memorable times surrounded by caring family and friends! 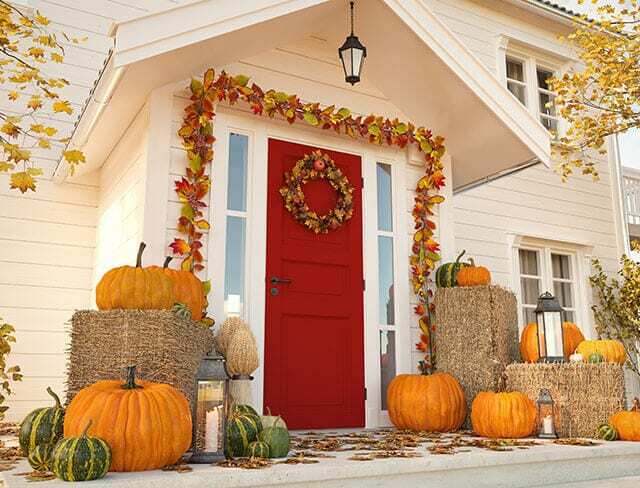 We wish to express a debt of gratitude to our Safety Forces, and best wishes for them – and you! 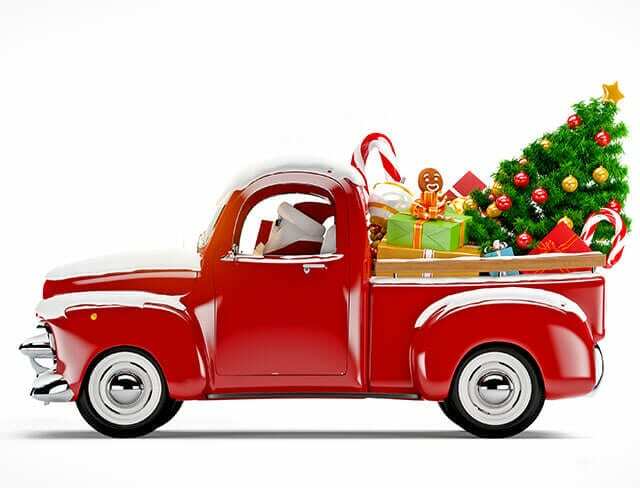 May you have a wonderful, meaningful holiday. 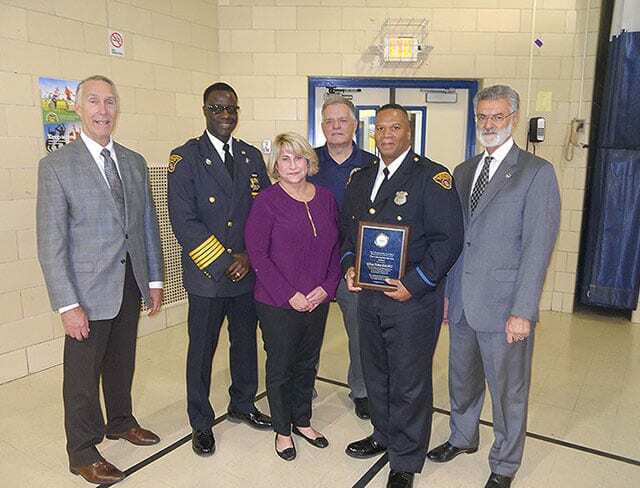 The Cleveland Police Foundation helped make this party-at the Cudell Recreation center and sponsored by Willie Lawson, a memorable event. 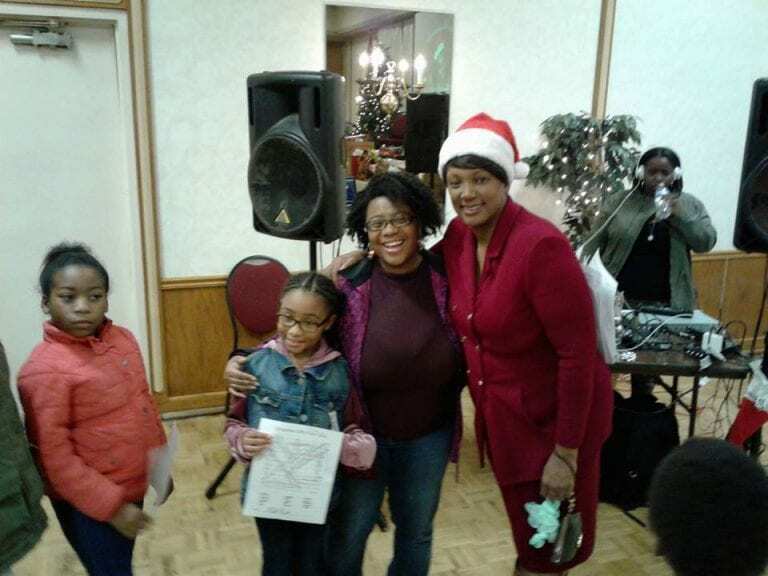 This West Side tradition of giving continues in honor of Loretta “Lolo” Hall. 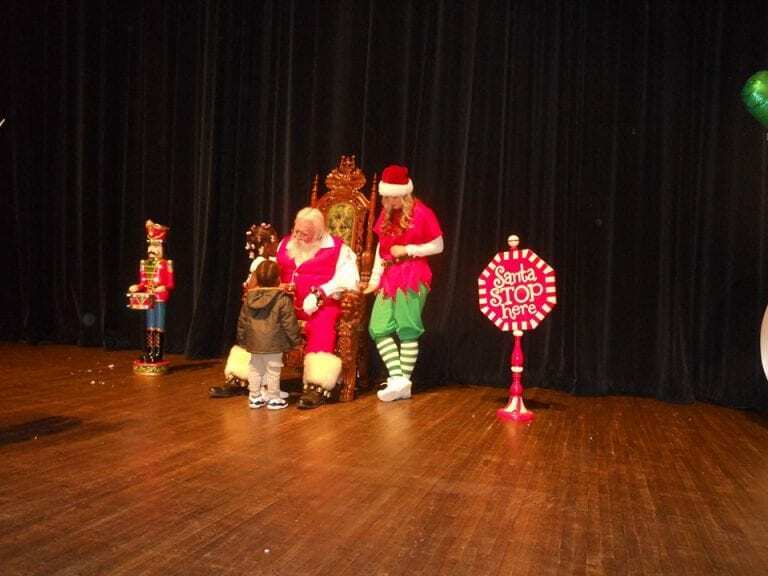 The Cleveland Police Foundation was proud and honored to again support the Children’s Christmas Party at St Wendelin!! 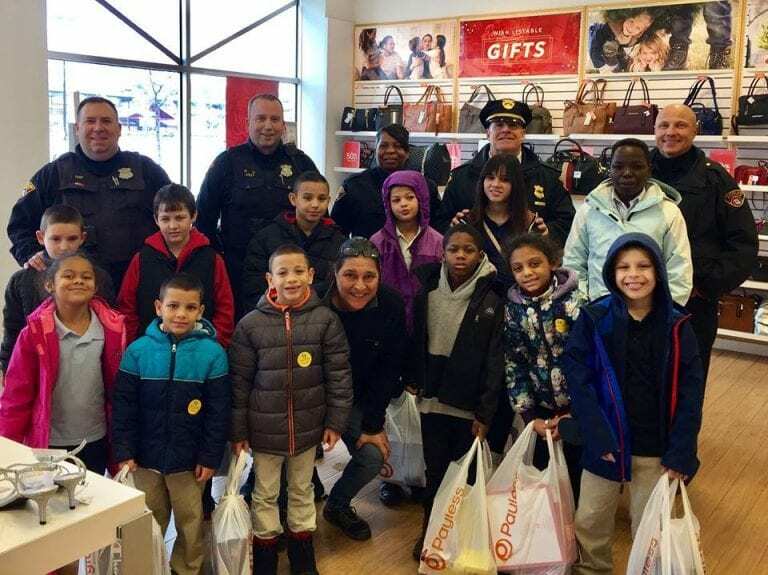 The Cleveland Police Foundation and Cleveland Cops for Kids took a field trip to Steelyard Commons to shop for shoes. 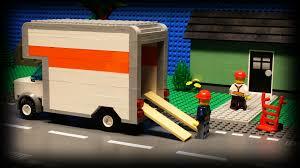 Click here for information about an invaluable guide to the city. 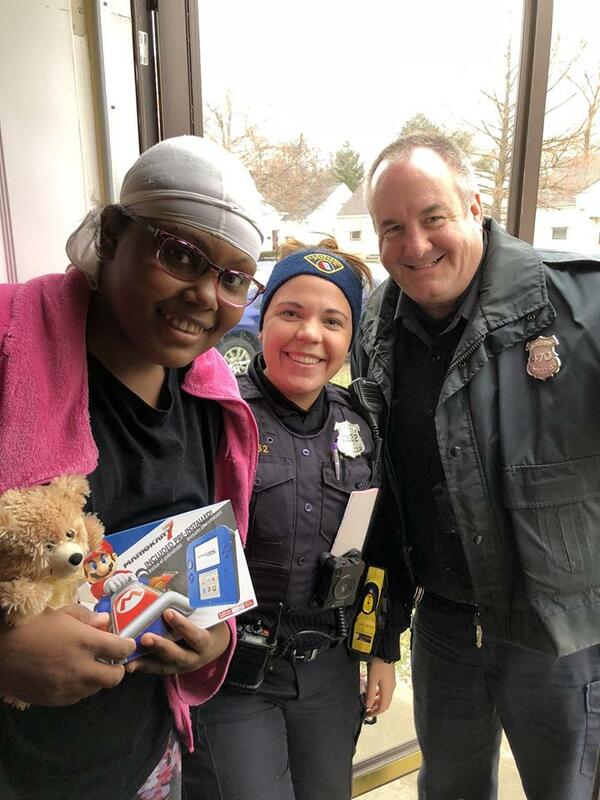 The Cleveland Police Foundation would like to introduce you to Ni-Asia and 1st District Officers Marzan and Hoban. 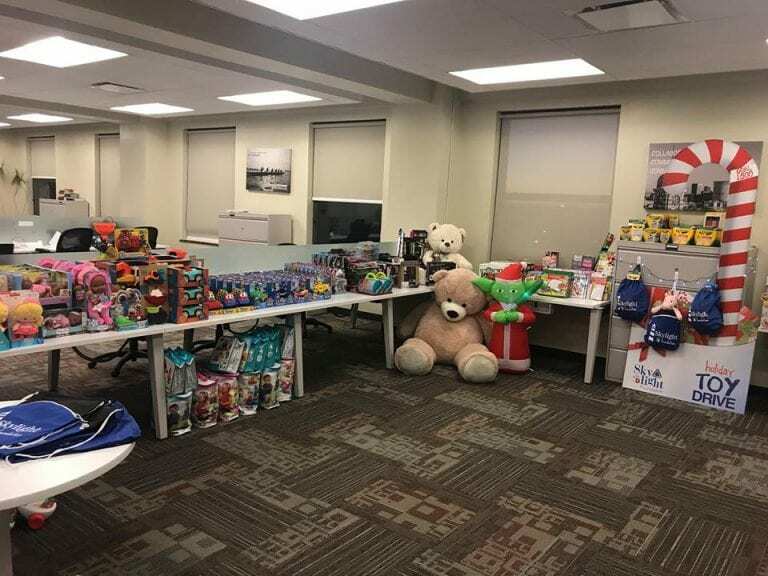 Nearly 100 generous elves came out on a blustery winter day to support the Skylight Foundation Holiday Toy Drive Networking Event on December 13!! 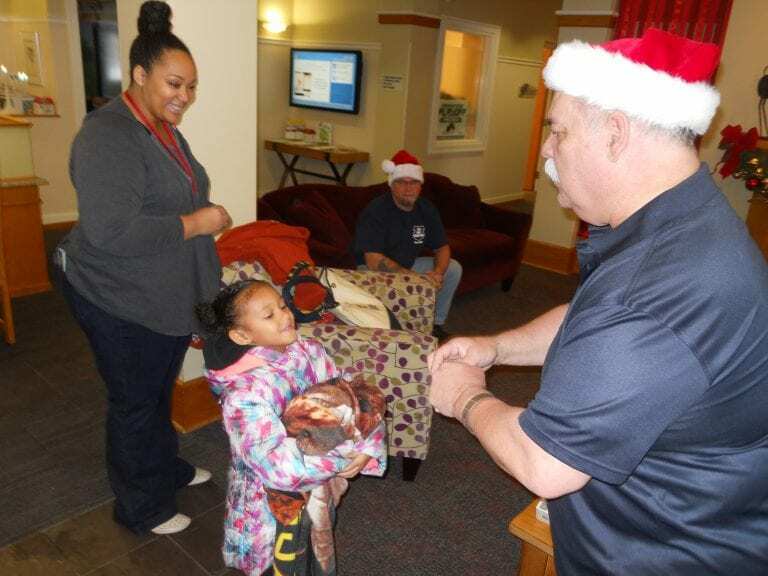 On December 14, 2017 the 35th annual Cops, Kids and Christmas party was held once again at the Ronald McDonald House. 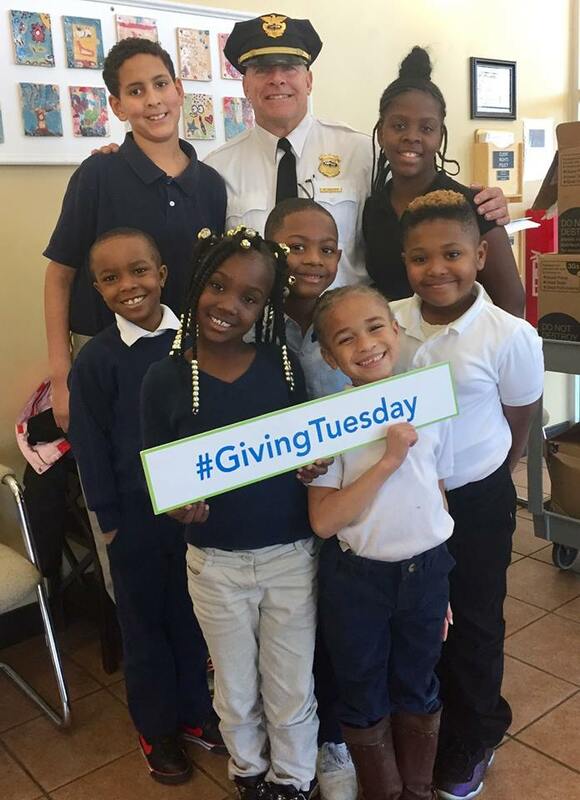 Donations on Giving Tuesday help police officers to reach out to children in need with coats, shoes, and more. 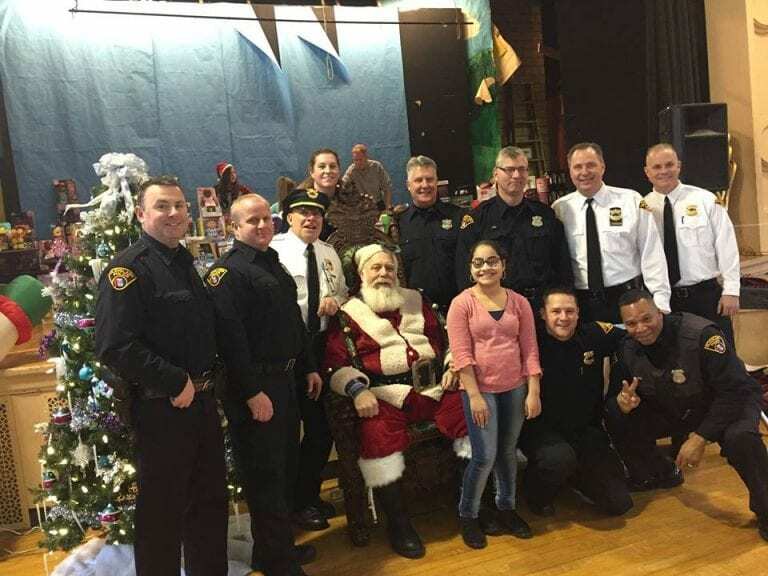 The Cleveland Police Foundation was proud to support the PAL Annual Christmas Party on Saturday December 2 at Public Auditorium!! 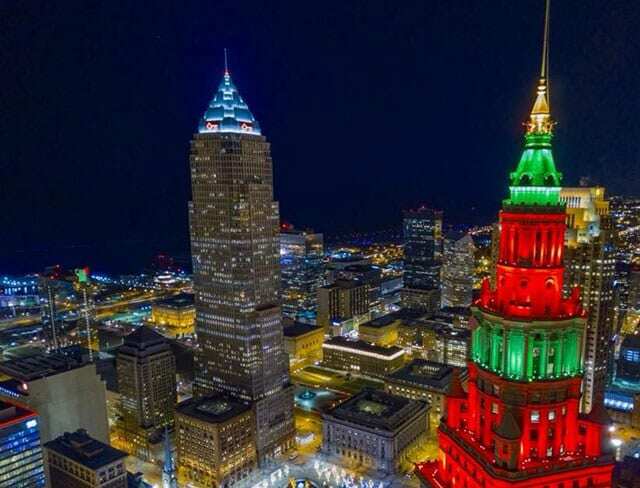 Come join the Cleveland Police Foundation and Skylight Financial at our networking event to raise toys for needy children throughout Cleveland!! 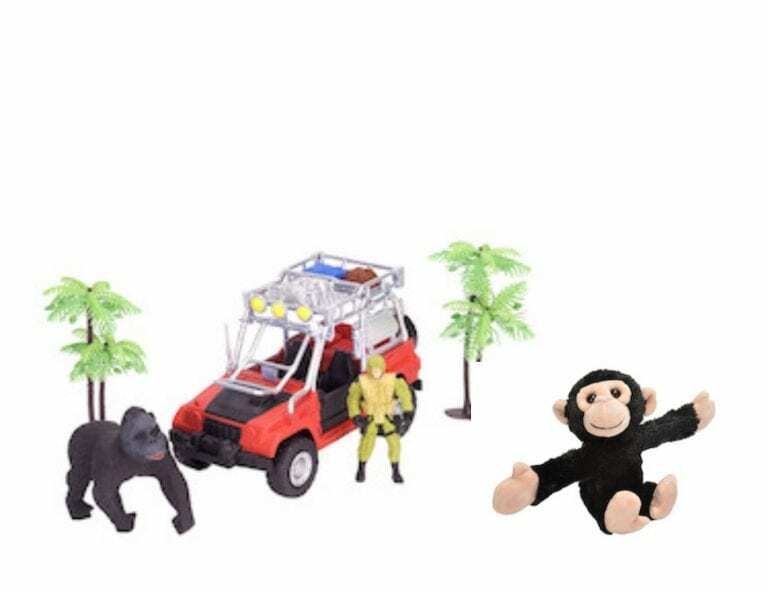 It’s scary to think about, but an active shooter can strike any place, at any time. 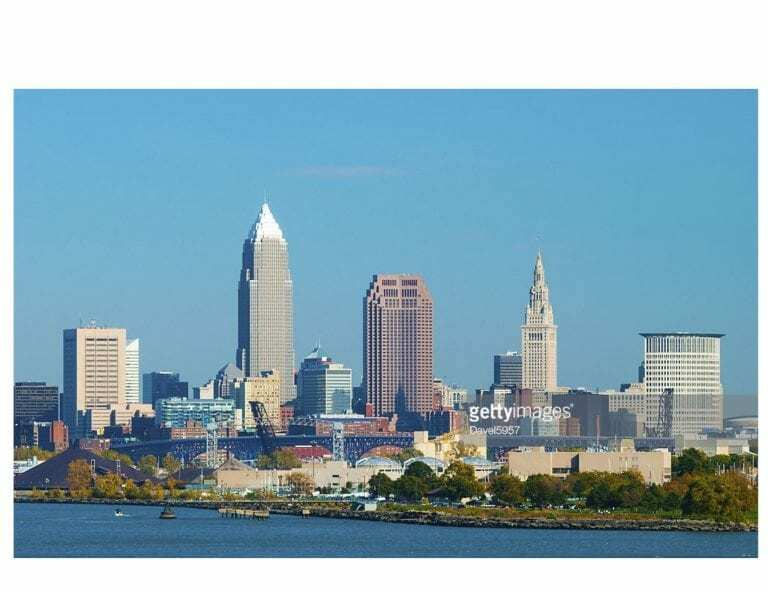 Click here to watch a video from The Ohio State University. 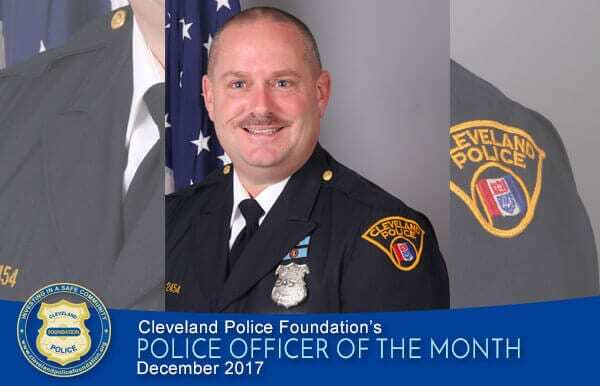 The Cleveland Police Foundation is honored to recognize PO Douglas Nichols as the Police Officer of the Month for December 2017. 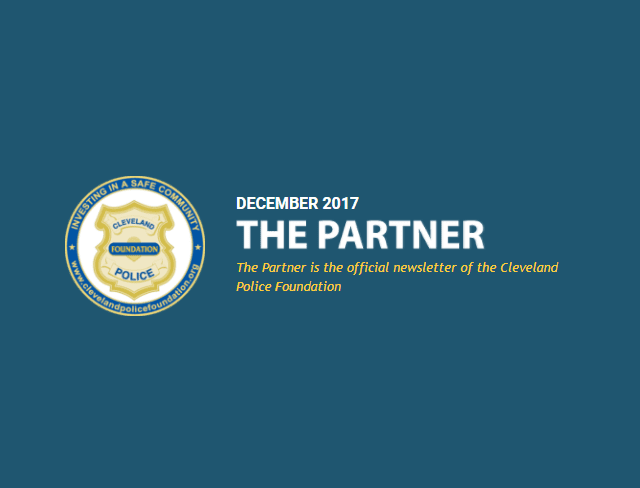 The December 2017 issue of "The Partner" is chock full of articles recapping the outcome of events and news items of interest and inspiration–and contains a full calendar of upcoming events. 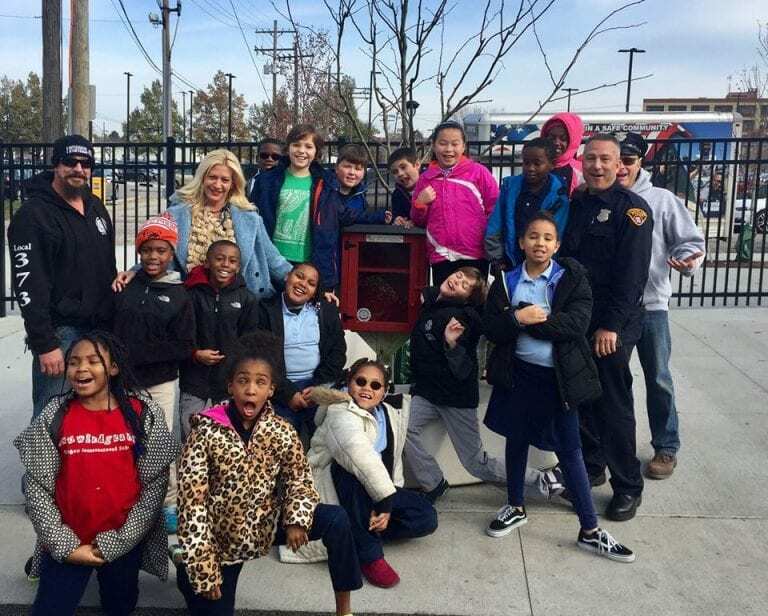 A Little Free Library was installed with the donations of the United Brotherhood of Carpenters, Home Depot, and the Cleveland Police. 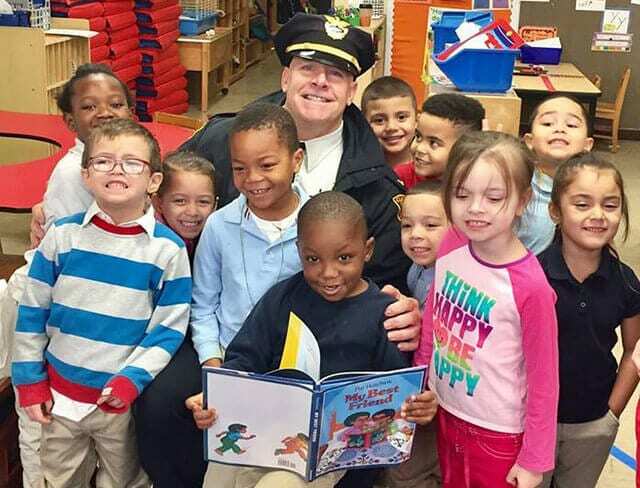 Your donation helps us to accomplish our mission to strengthen the bonds between the Cleveland Division of Police and the citizens it serves. 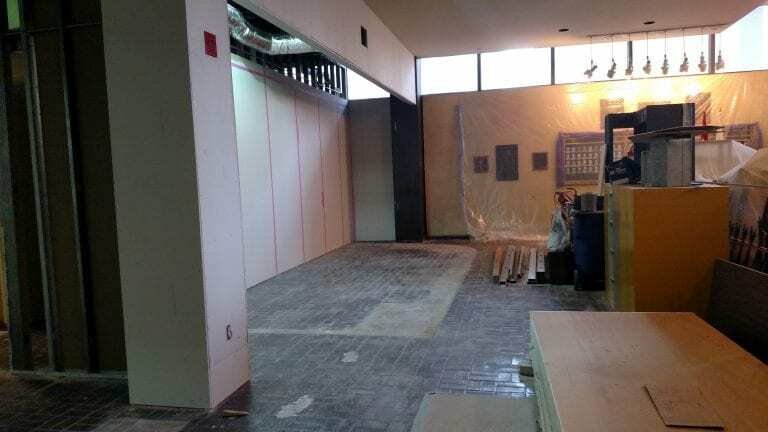 The Cleveland Police Museum, operating since 1983, is temporarily closed as it moves and is refurbished! 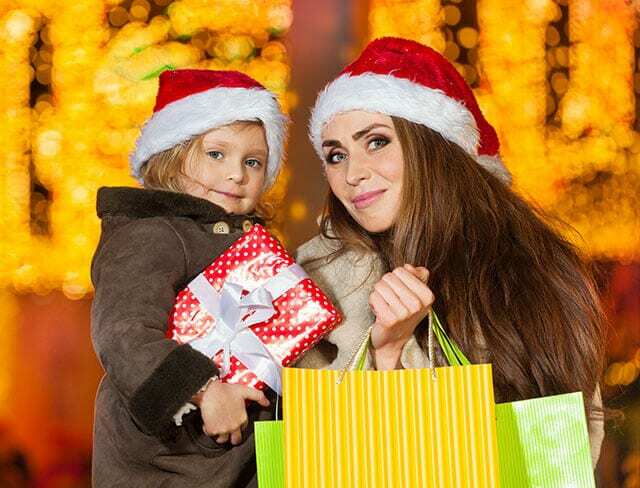 Once again, this December 13th the Skylight Financial Group is hosting an event to benefit the CPF in support of the Cops for Kids Program. 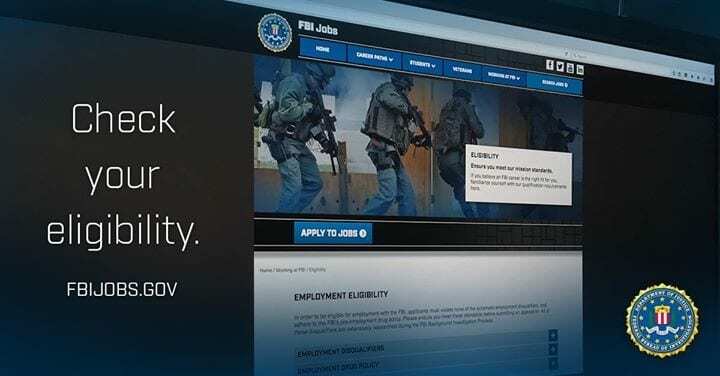 Is an FBI career in your future? The FBI strives to protect American citizens at home and abroad while upholding the Constitution of the United States. 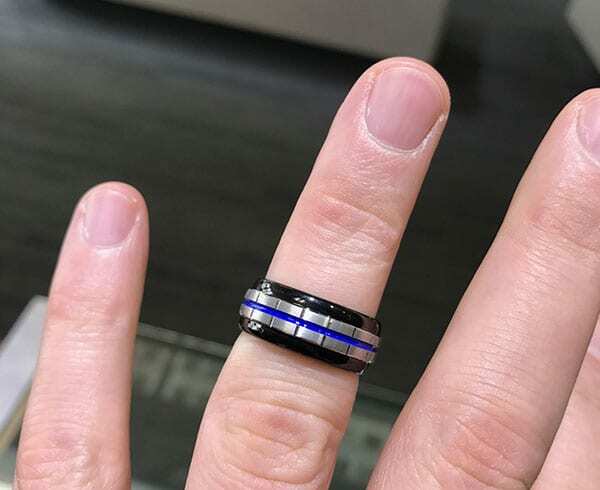 Bookman & Sons Jewelers of Brecksville has joined in Honoring Our Fallen by designing a ring for the men and women in law enforcement, their families, and supporters. 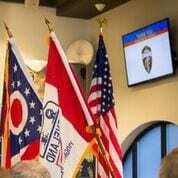 Honor Guards of America is recognizing all honor guards nationwide on July 1st, 2018 with the Second Annual Honor Guards Day Parade in Orlando, Florida. 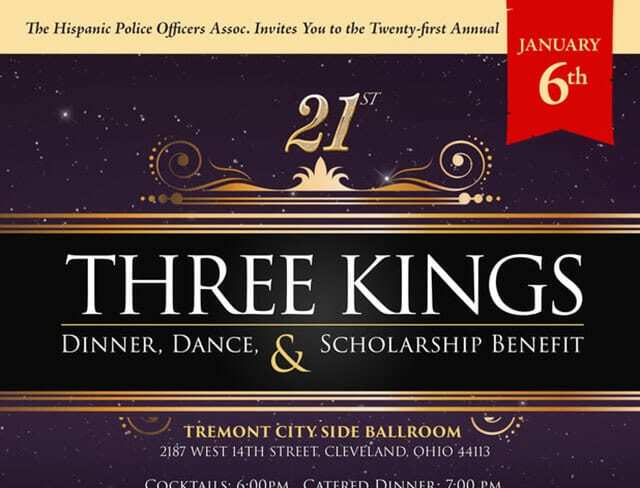 The Three Kings’ Event to benefit the Hispanic PO Association Scholarship Fund is set for Saturday, January 6th! 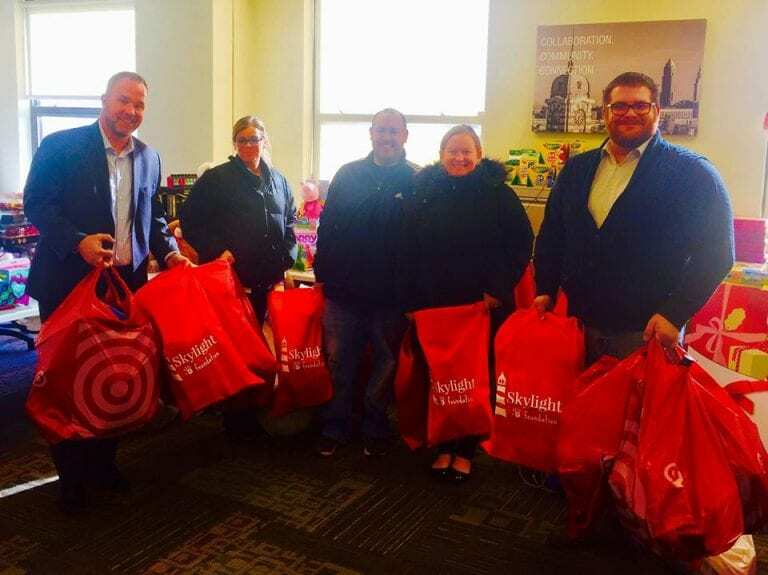 Enough turkeys and dinner groceries were donated to give 22 families a Thanksgiving feast! 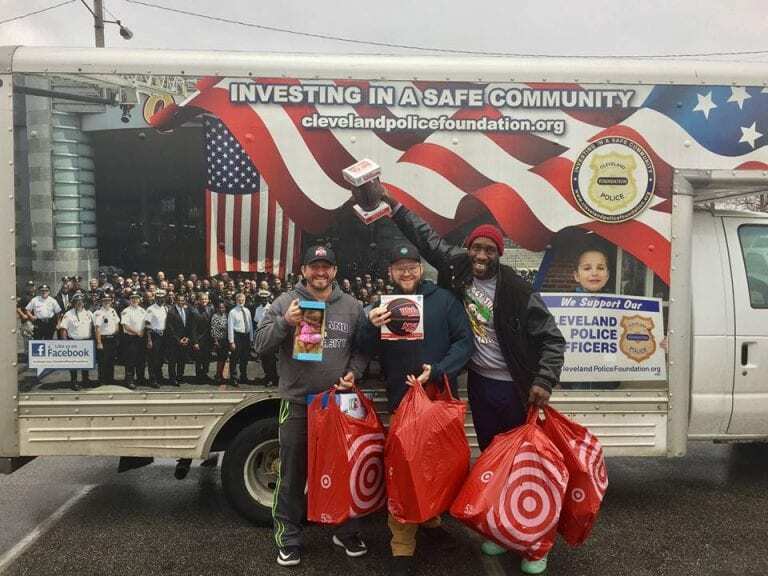 Wild Republic donated $2,000 worth of toys to the Cleveland Police Foundation.